Amelia is not about to let the class bully get the best of her—thats just not Amelias way! But Amelia cant help feeling defenseless against mean-girl Hilary, who seems to have one nasty thing to say after another. But when Amelia attends camp, she gains the confidence she needs to speak up. In her honest and engaging way, Amelia describes what it is like to get tough and stand up for yourself! 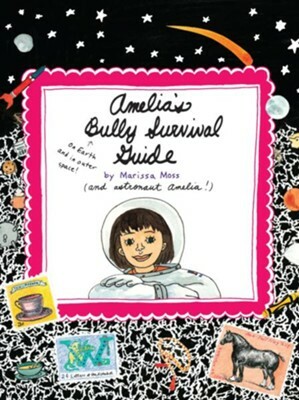 I'm the author/artist and I want to review Amelia's Bully Survival Guide.